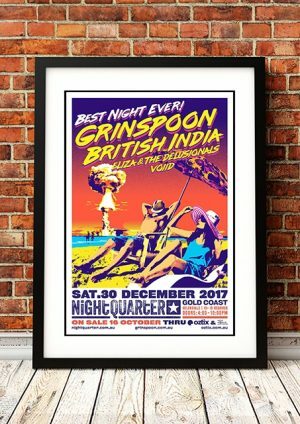 Classic British India Band Concert Posters and Memorabilia! Buy Online Now! Playing tough, garage-influenced rock & roll with abundant energy and charisma, Declan Melia (guitar, vocals), Nick Wilson (guitar), Matt O’Gorman (drums), and Will Drummond (bass) were all teenagers when they formed British India. The group’s stage presence and powerful live shows made them darlings of the street press while they shuttled back and forth between gigs in Melbourne and Sydney. Eventually they came to the attention of Harry Vanda, former guitarist with ’60s rock icons the Easybeats. With Vanda, British India recorded an EP called Counter Culture. Released on Shock Records, it was a dry run for the album they would record next with Vanda. Unable to close a deal with a label they were satisfied with, British India’s debut album, 2007’s Guillotine, appeared on Vanda’s Flash Point label. Their debut single, “Tie Up My Hands,” reached number one on Triple J TV, and the group took home an AIR Award for best new artist in 2007. The follow-up album, 2008’s Thieves, debuted at number five on the ARIA charts. 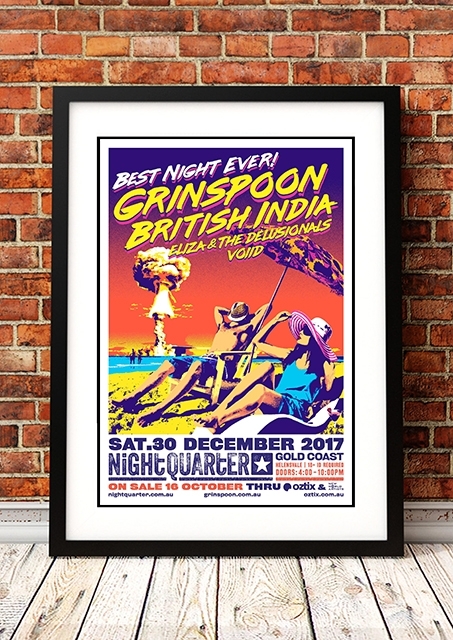 We stock some awesome Brtish India Band Concert Posters.